My 30 gallon mossy darter tank. I recently moved it and cut the moss WAY back. 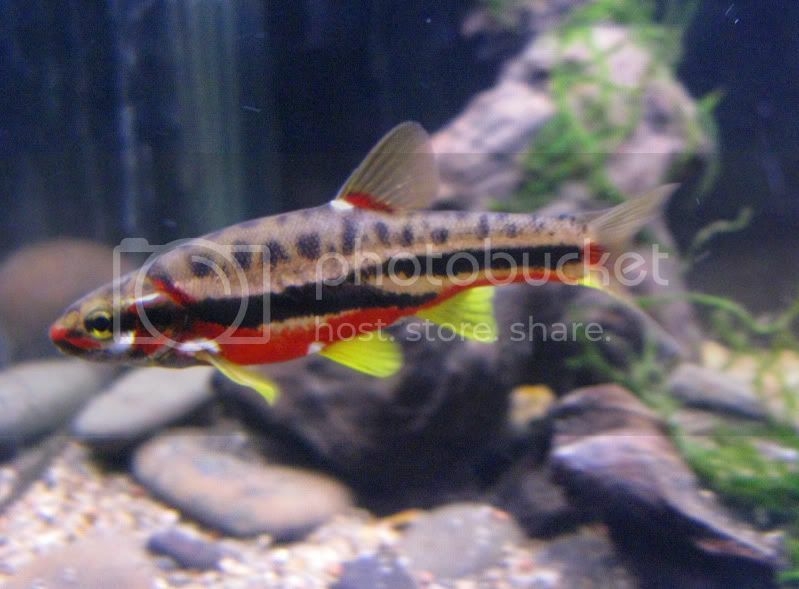 Roanoke darter, love these guys. Nice personality and interesting color. They remind me of little walleyes. 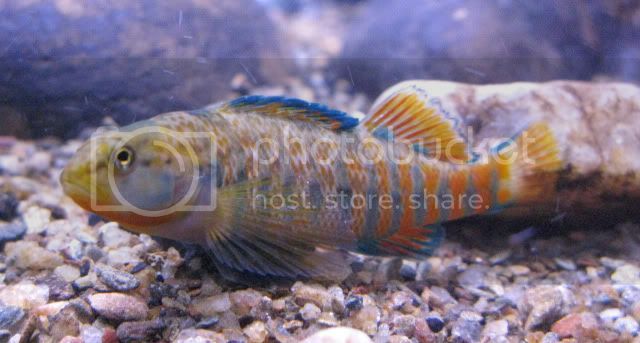 Rainbow Darter, The first shot is from when I first brought them home. They always seem to be the first to recognize the food dude when first brought into captivity. These guys were begging for food the second day I had them. 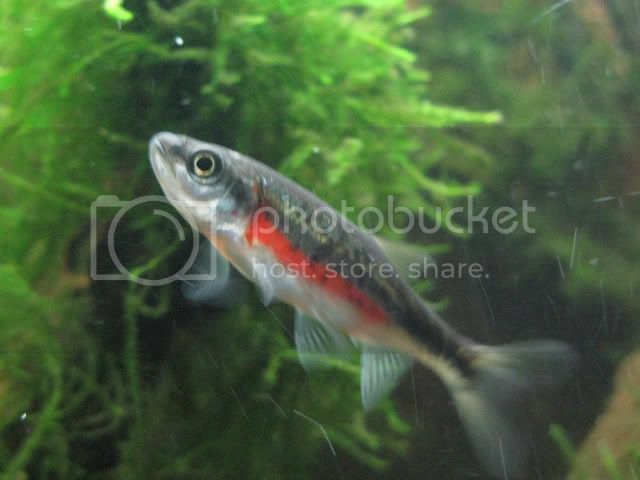 Here are some shots of my rosyside dace. Derek was so jealous of these guys. 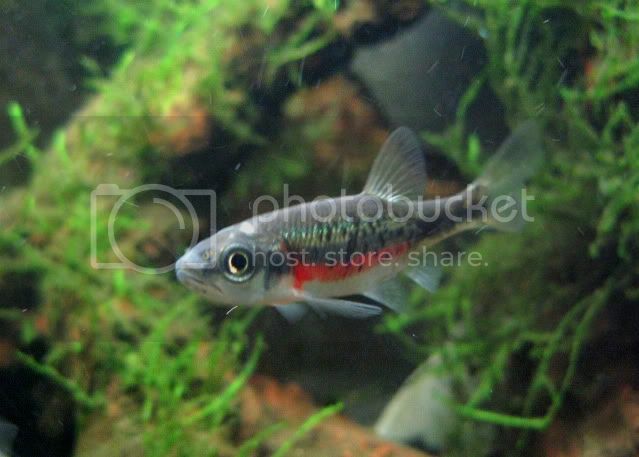 They almost always stay fired up red and have a wonderful iridescence. One of my faves or sure! Here is my other 30 gal, my minnow stream tank. It's very dark and hard to photograph fish in it but I like it like that. The plants are fake though there is moss growing in there. I plan to add vals down the road. Along with some spotfin shiners and margined madtoms I have a lone mrbd in this tank. I brought home 6 mrbds from VA and all but 1 died from a nasty fungal attack. Here is a shot of the survivor about a month after I got him. The lemon yellow is gone but it looks like it's coming back. The red is almost always blazing. Here some pics from my Virginia collecting trip with Derek Wheaton and friends. The first is a shot of Derek and I kicking in the rainbow/fantail creek of ill repute. Josh and Derek at the MRBD creek. And some other fun stuff. 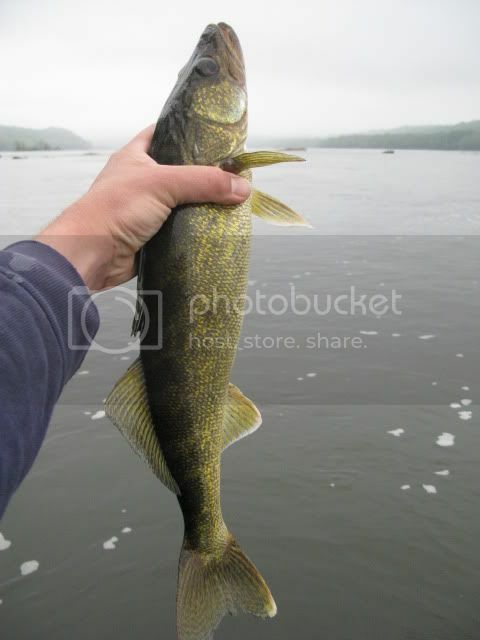 A walleye or as Derek calls them "giant darters". 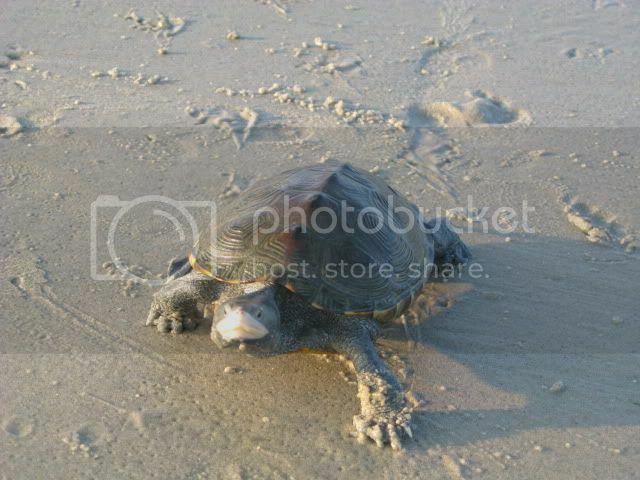 A beach turtle! A terrapin I think. We found him on the beach while fishing in NJ. Man he was fast. Bummer my camera was destroyed as it had some great photos of a wood turtle Derek and I found while trout fishing in the fall. That fellar was neat. Anyhoo, thanks for looking. Wow, what beautiful tanks and fish. That's awesome! Awesome tank Bart. I really like the layout, looks bigger than a 30. Very natural look. Are the plants live? I can never keep plants alive in my tank. Also, I was curious about the leaves. I had been thinking about adding some leaves to add to the natural look. Do they decay or cause any problems? Edited by jblaylock, 16 December 2010 - 09:05 AM. What kind of moss is that? Is it native? 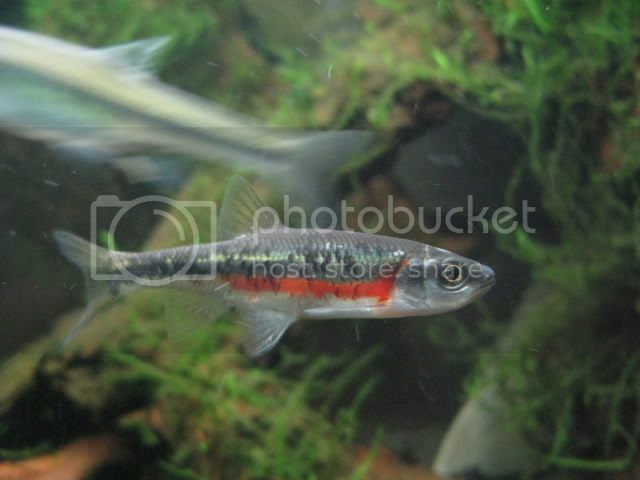 That's a really good looking tank, and your fish, especially your dace species, are stunning! The plants are fake though I plan to add some vals to the minnow tank. The moss is christmas and java, non-native. I have yet to find any native moss that will grow. As for the leaves, yes they will decay but when they start to I'll have pre-soaked new ones to put in. I use only oak leaves as I heard some others can be toxic. They look nice and the madtoms like to hide under them. I have yet to find any native moss that will grow. Edited by EricaWieser, 16 December 2010 - 12:30 PM. I like the layout of the 30 gallon stream tank, especially with that one driftwood standing more or less straight up in the middle of the tank. Your turtle is a terrapin. A Northern Diamond-backed Terrapin (Malaclemys terrapin terrapin) to be exact. I led a birding trip to New Jersey a few years ago and seeing those turtles was my trip highlight. love the aquascaping and use of red oak leaves ! 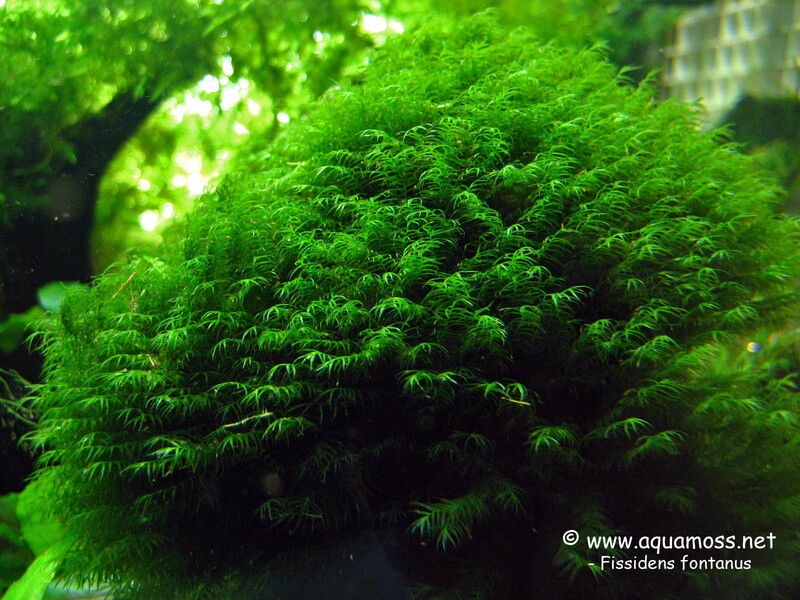 Fissadens is great if you need a native aquatic moss. The patches i have collected all came from woodland streams.It is not always easy to find but worth it. That stuff looks awesome! I'm gonna give it a try. I like the idea of going with a native look in the tank but easy has been a key factor with my minimal experience. Hey, thanks. That tank sat for a week just with the wood and gravel in it. I moved everything around till I found what I liked. I gotta a huge rootey stump in the basement I couldn't make work. Can't wait to use that thing! The piece standing straight up is zip-tied to a piece of slate under the sand/gravel. The other pieces are held onto the back of the tank with suction cups. That was a PITA making that work! ...and thanks for the turtle tip! I'm gonna keep my eye out! 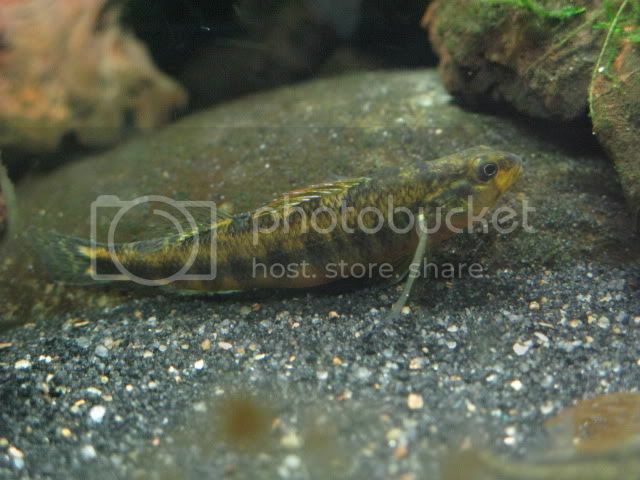 I love those Roanoke Darters and the MRBD's, awesome fish. Erica/v369, ever seen anyone selling that native moss? I've been in a lot of creeks and never seen that...or other aquatics plants for that matter. 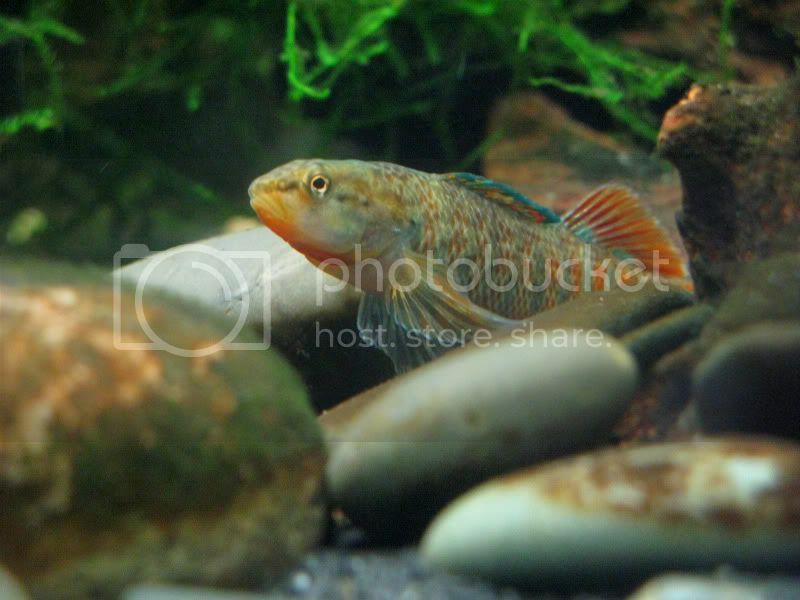 Aquabid.com's moss section is a good place to find it. Just go to aquabid.com and type "Fissidens" in the search bar. People on aquabid who are currently selling Fissidens: Usernames of Howe1985, Praxis5624, and Aquaticmagic. Edited by EricaWieser, 20 December 2010 - 05:47 AM. I think there's a creek here in town that has that. Has those long "leaflets" like that anyway. It's a very shallow, heavily shaded, tiny creek flowing over limestone and shale bedrock. I should go and get some again. Anybody know what it takes to keep it alive? The woodland stream I collected My fissadens from has a close to nutral 7.2 to 6.8 ph depending on season,and somtimes goes dry for short periods.The area around the small spring fed pond it originates from is littered w limestone and has large oaks and ash over it. my inital culture was collected when dry(end of July),it was firmly attached to a peice of brownstone a little smaller than a basball and looked like green scaly dreadlocks. when rehydrated it took a few days to start growing again. I have fissadens in 4 of my tanks with vairous water paramaters(ph from 6.7-7.5 heated and unheated).It is not picky in terms of light levles,and i do not dose co2. It seems to do best for me in tanks with more water movment and no heater. The 2 unfiltered tanks i have it in seem to need a little micronutrient suplementation(part strenght flourish) ocasionaly(once a month so far) to keep it that nice dark green.from cuttings It tends to attach itself to drift wood or porus stone well but takes some time to really get anchored(4 to 6 weeks).can be done quicker i have been told by putting the object desired to be covered against a existing clump and just allowing runners to anchor themselves and then trimming away from parent plant once attached.trim as nessecary to keep it from taking over. 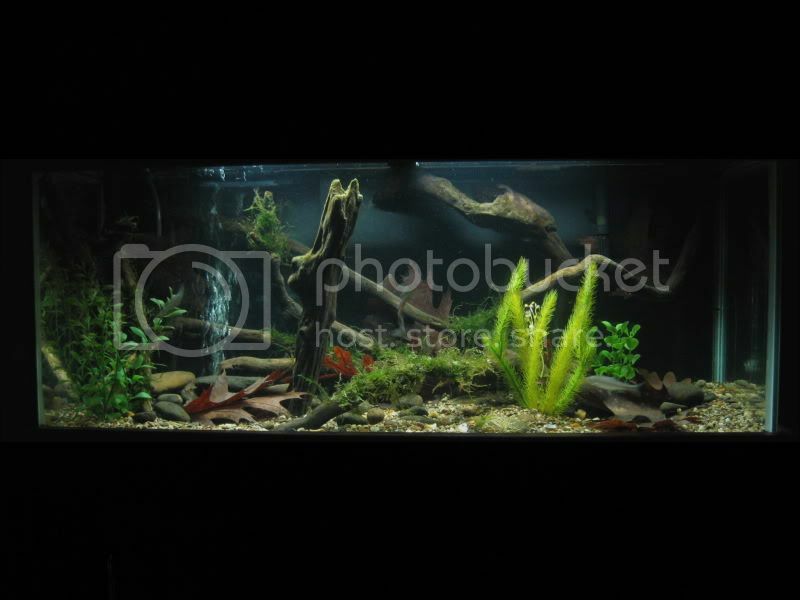 also I occasionaly see it offered in the swap and sale section OF the plantedtank.net forum. Great info! Thanks! Sounds like it's pretty easy. Out of curiosity, where (what state, town, etc) was your fissadens collected? Beautiful tanks and pictures Bart, I really enjoyed reading this thread. Your pictures remind me that revision of the funduloides complex is low hanging fruit. Does anyone know if anyone is working on this? I have been meaning to ask about rosysides. Mine seem to look a bit different than some of the other photos I've seen online. Mine seem to have more definition between the green, dusky, and red bands than others which all seem to kinda blend together in transition. Mine also maintain color almost constantly. They really are quite the spectacle. BTW they were collected from the Susquehanna river near Lancaster PA which as I understand it, has redside dace in it wayyyyy up north. Edited by bart, 22 December 2010 - 12:34 AM. 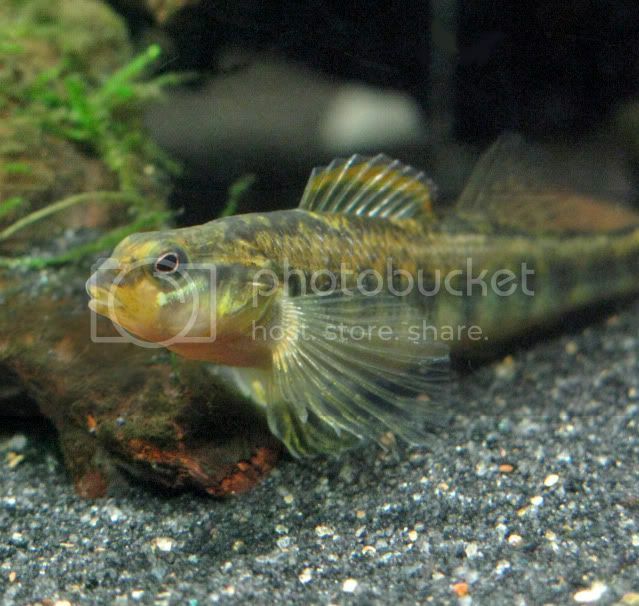 do you have any luck with those darters breeding in that tank?and what are u currently using for a base diet? and itsme the fissidens i collected came from 2 locations both in MA, one in the berkshires,(not exactly sure wich town) and one in hampden county(wilbraham/hampden area).I know there are a few diffrent species across the country but all U.S collected specimens i have seen have been just labled fissaden sp. Edited by v369, 22 December 2010 - 01:06 PM. No, I don't think I have any compatible pairs. 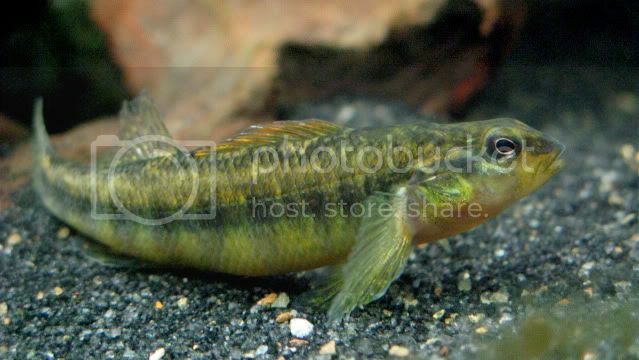 I think most of my darters are males or are 1 of a kind in the tank. However, I was pulling a bunch of moss out in the summer and what should appear? A tiny fry of some kind. I assumed it came from spotfin shiners I had in there though I didn't notice them looking particularly gravid or depleted along the way. That little guy and/or any of his siblings were never seen again.